While her work looks back to the richness of Korea's ceramic tradition, this is balanced by her own desire to produce pieces that are made to be used and enjoyed within contemporary spaces. 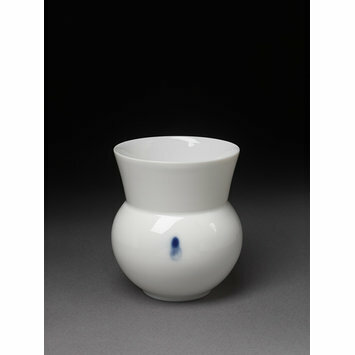 This beautiful piece, with its single teardop of underglaze blue decoration, provides a most refined drinking cup. White porcelain cup with spherical body and broad flared mouth. Underglaze blue 'teardrop' shaped decoration on belly of cup. 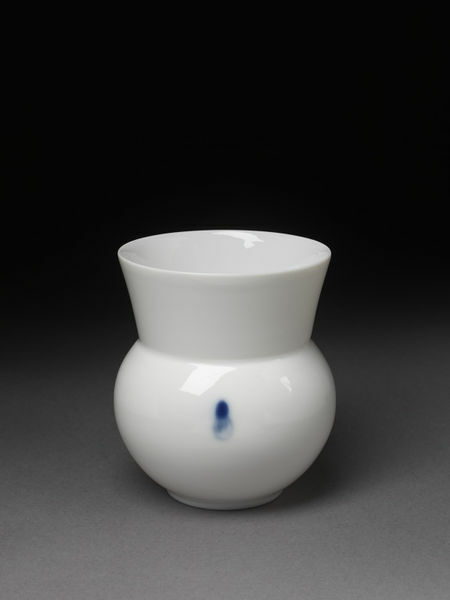 Cup, white porcelain with underglaze blue decoration, made by Park Young Sook, South Korea, 2006.